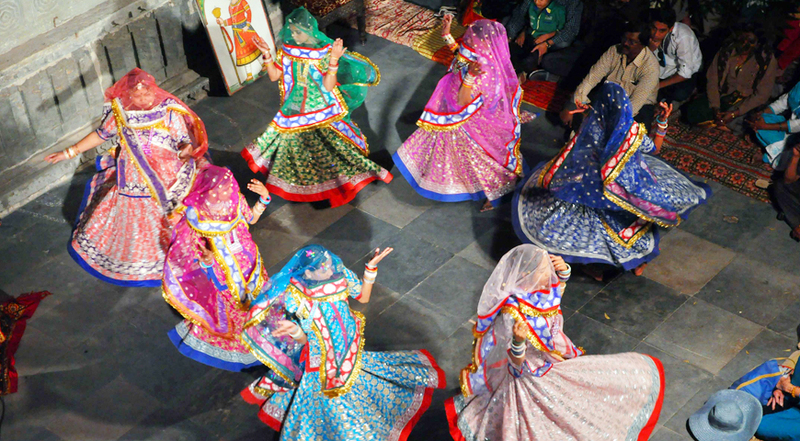 Dance and Music of Rajasthan are deeply ingrained in the life of Rajasthan. The rich cultural and the traditional life style reflect the Indian way of life mixed with the dance, music and different forms of arts and crafts. 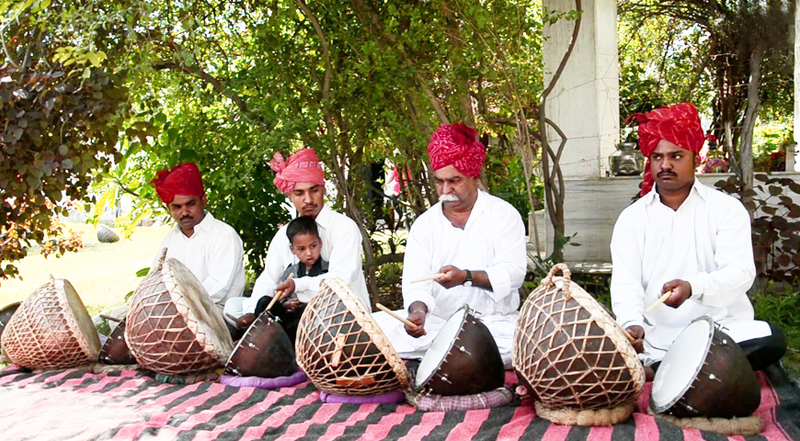 The folk music of Rajasthan consists of the day-to-day activities give a pleasant relief after the hectic village life. Simple, spontaneous, dancing is seen in their fairs and festival in the 'kudakna' of the 'meena' boys, the dancing, which goes with the 'rasiya' songs of 'Braj, and the dancing by women and men where the women carry a pot or a lighted lamp on their head. 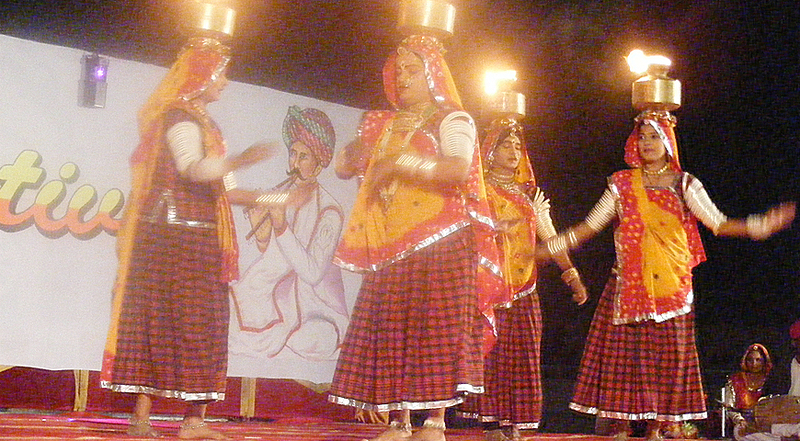 In the 'charkula' dance of 'Braj, an elaborate lampstand replaces the single lamp. 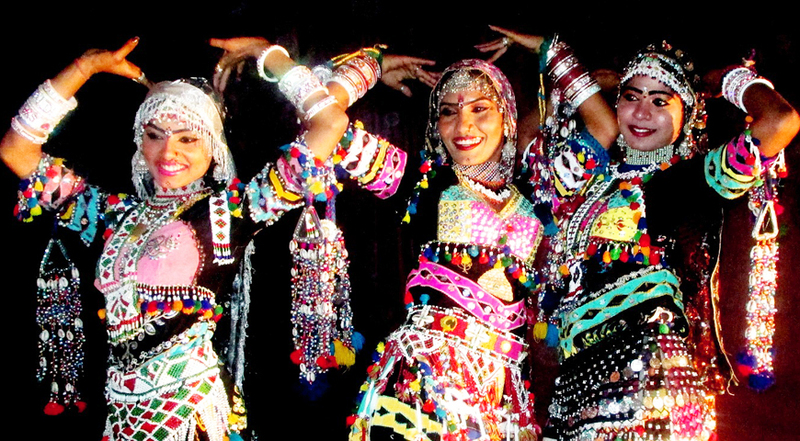 The famous GHOOMER, Rajasthan's popular dance gets its name from 'ghoomna', this is a simple form of dance where the women wear colorful attires and move gracefully in circles. 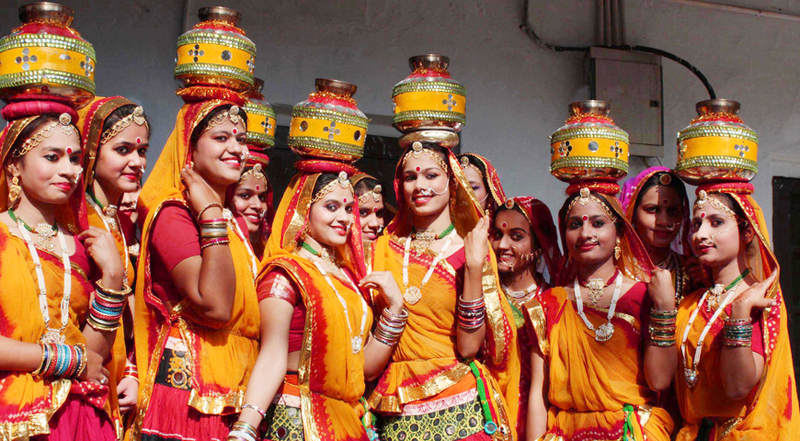 The GAIR of Mewar has inner and outer circles of dancers who move diagonally or loop in and out. It is intricate and fascinating. 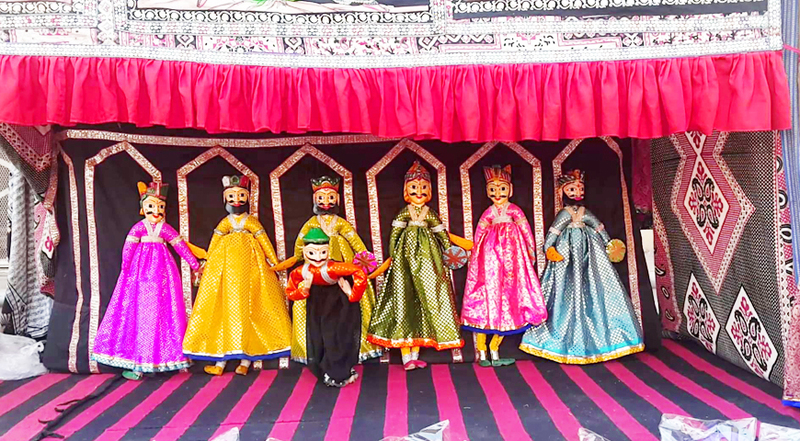 This Gair dance is also carried in the Shekhawati region. This dance is performed by the men of Jodhpur. 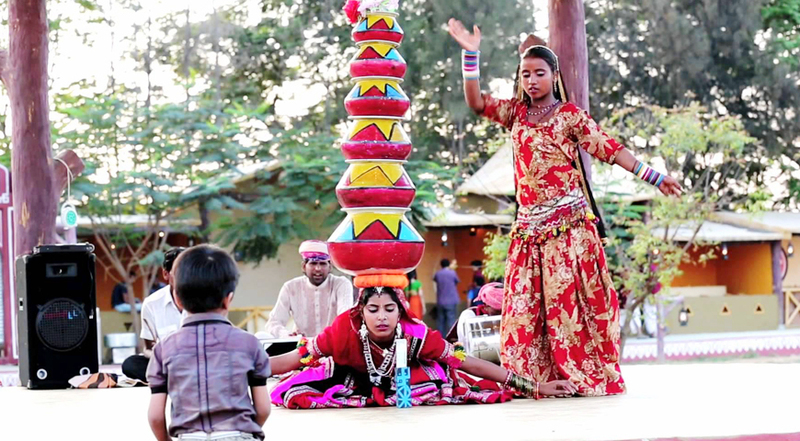 This beautiful form of dance is famous in the areas of Kisherigarh. The dancers carry brightly lit brass pots on their heads, displaying many flexible movements of the body. It is a dance of gay occasions. This is a special dance performance performed by men with dummy horses, and hold swords in their hands dancing in rhythmic unison. 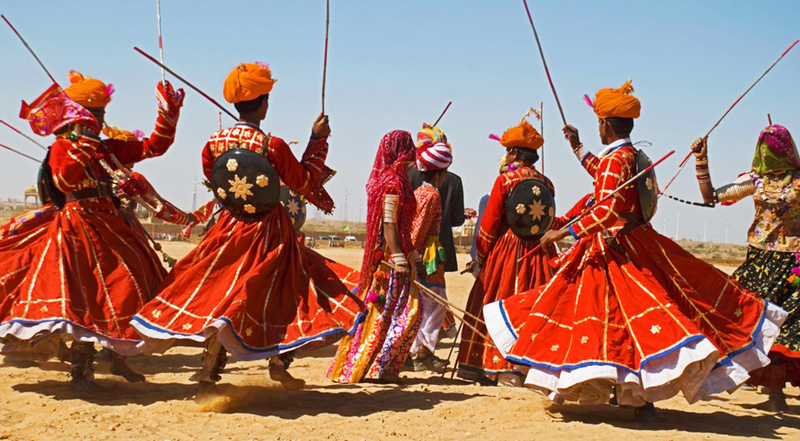 The dancers of Rajasthan do the foot work with the beat of the drum. The dancers actually dance on a platform made of embers of burning wood and sizzling hot charcoal, drum beats rise in tandem with their movements, the music gradually crescendo and the dancers a trance like state. 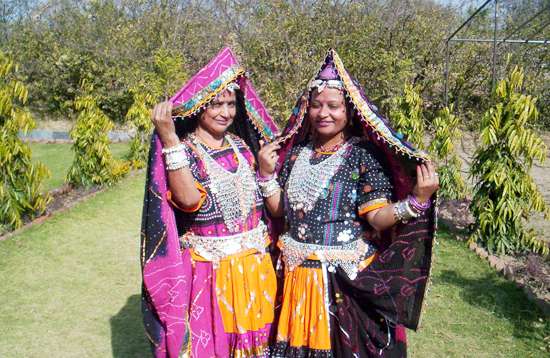 The Bhawais of Rajasthan are professional dancers. A spectacular performance in which veiled women dance nimbly balancing seven or more brass pitchers on their heads. Five men with huge drums around their necks, some with huge cymbals accompany a dancer who holds naked sword in his mouth and performs vigorously by twirling three painted sticks. 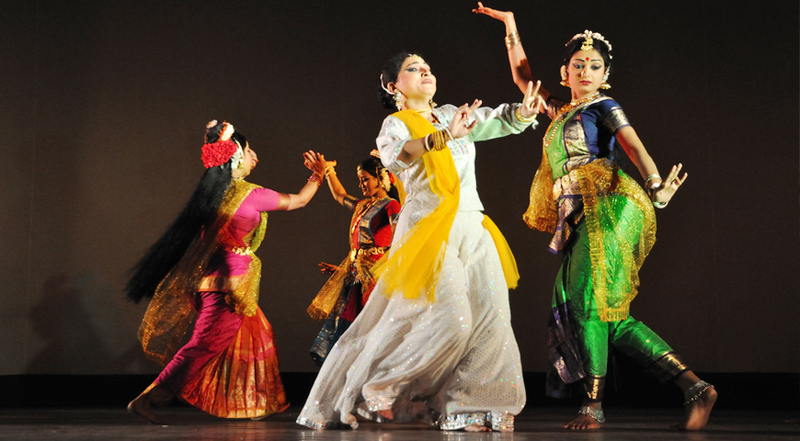 Kathak Dance is a well-known and luminous dance form of Rajasthan India. The traditional set of clothes for the male kathak dancers is the Dhoti joined in the Bengal style that is with several folds and a Fan finish to one of the ends. 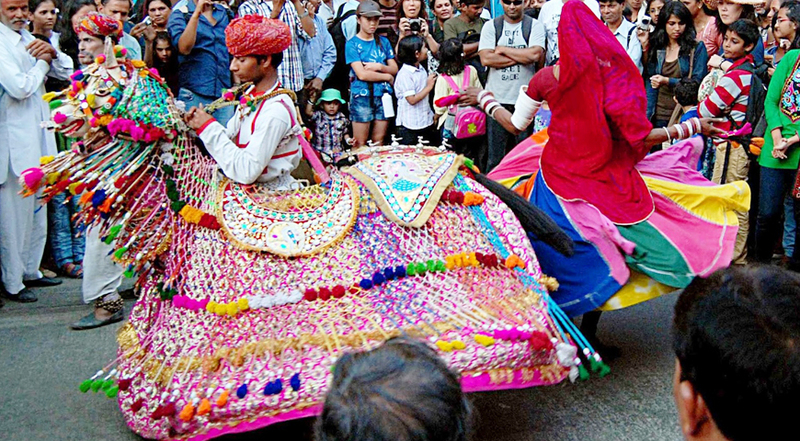 One of the most Sensuous dance forms of Rajasthan it is performed by the Kalbeliyas (the snake charmers community). A long black dress embellished with silver ribbon is worn by the performers. 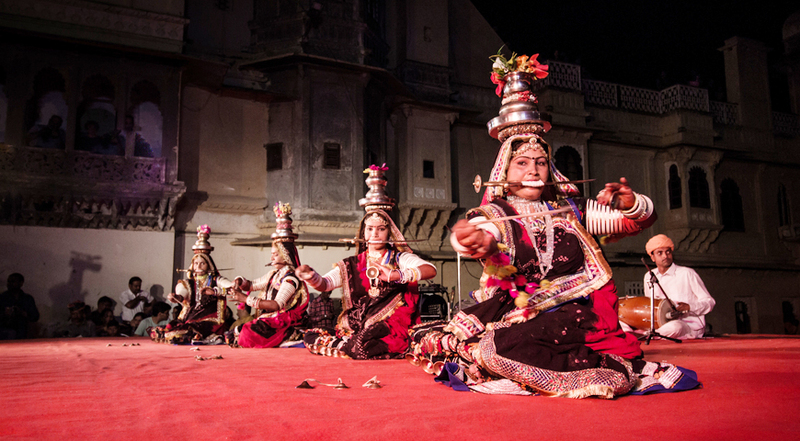 Literally meaning Thirteen Claps, the Tehra Taali is a devotional dance form performed by women of the Kamad community in honour of the folk hero Baba Ramdeo.